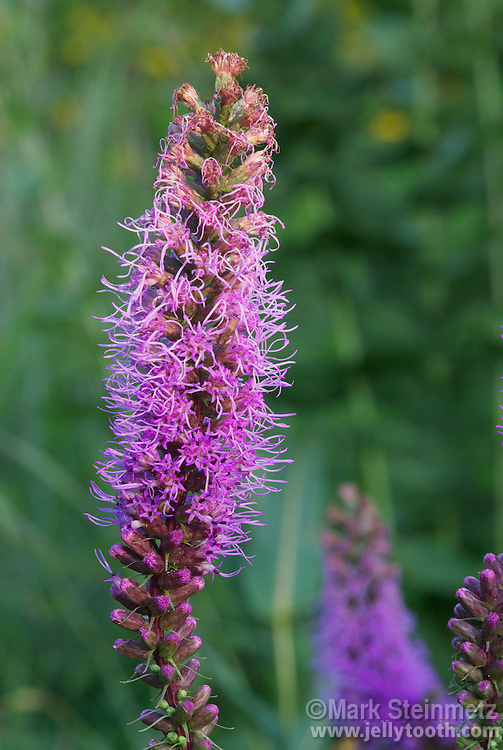 Flowering spike of Dense Blazing Star (Liatris spicata), a herbaceous perennial plant native to North America, often found in moist prairies. Liatris species are unusual because they flower from the top of the inflorescence down, rather than bottom up as in most flowering plants. Also know as Gayfeather, or Prairie Gay Feather. Ohio.